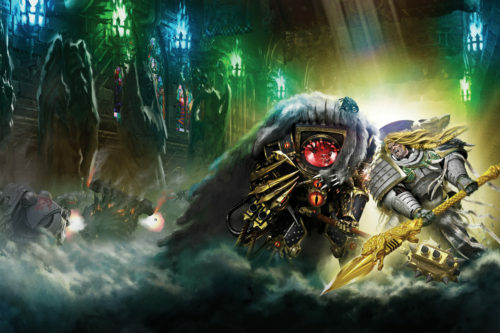 The Emperor of Mankind battles his Warmaster, Horus Lupercal, at the climax of the Horus Heresy. 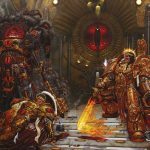 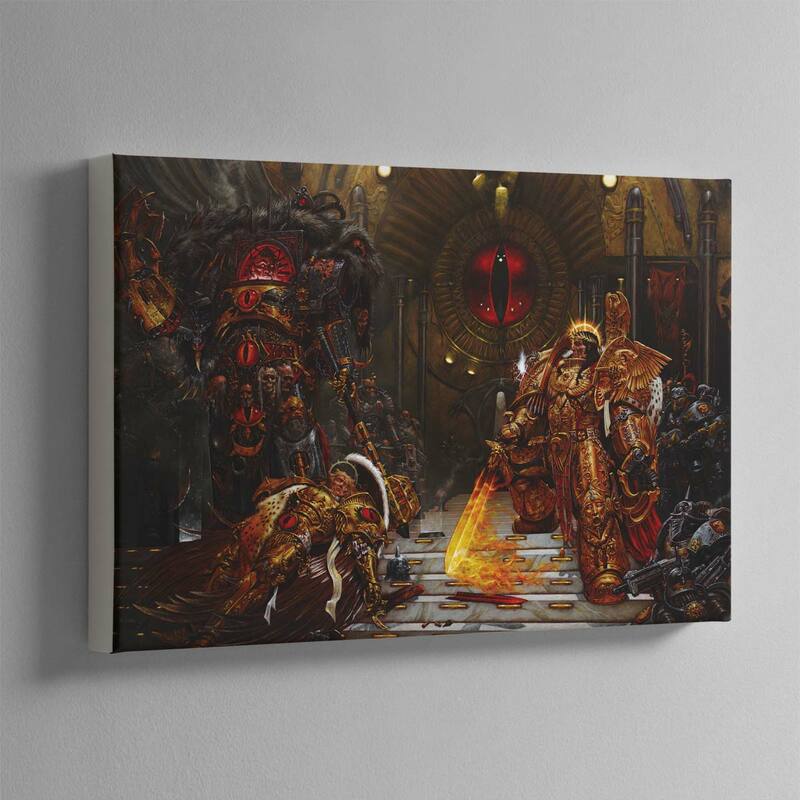 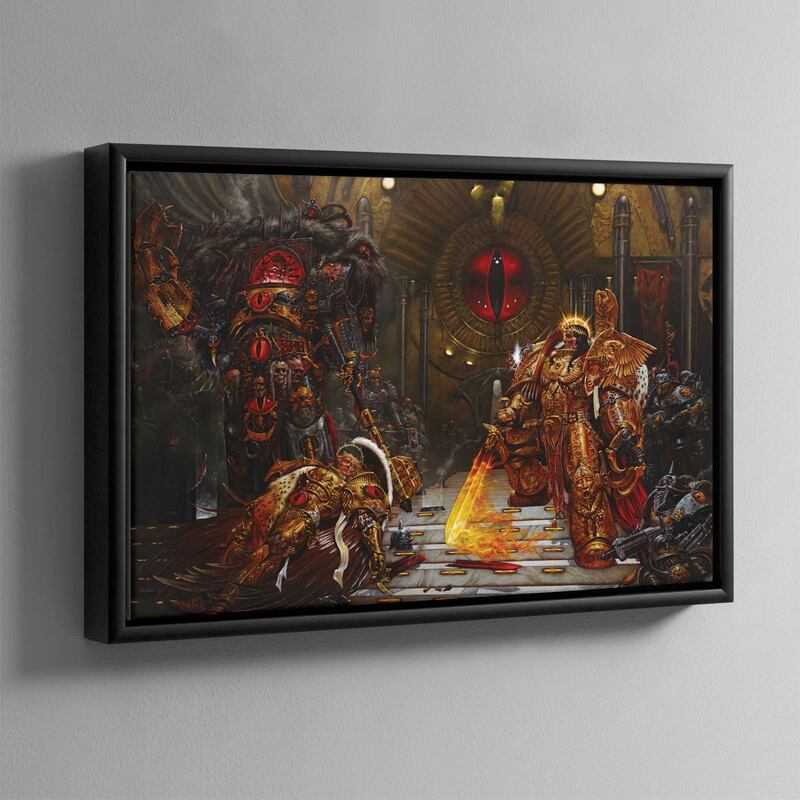 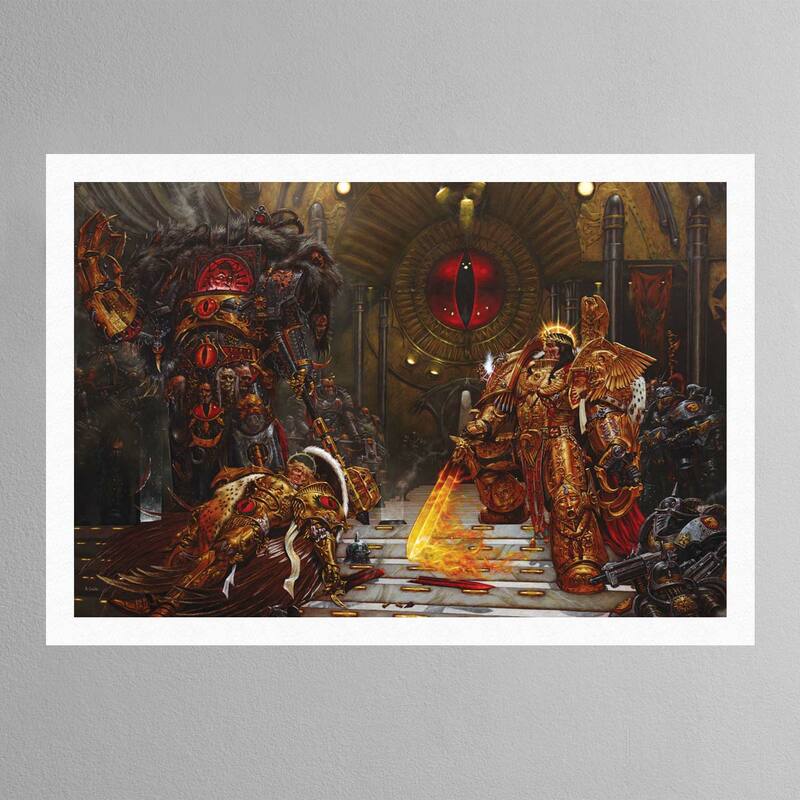 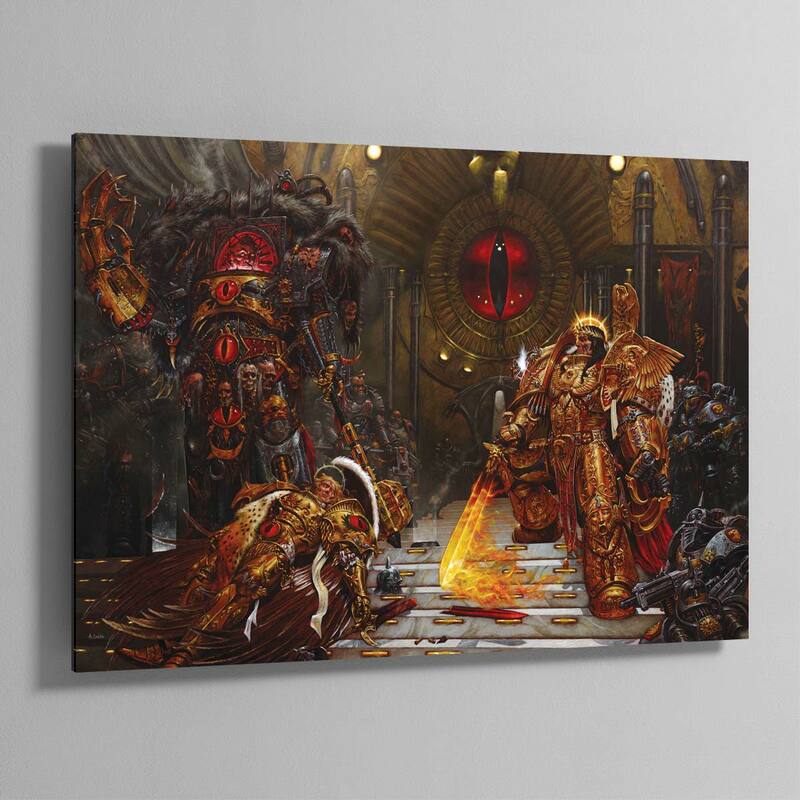 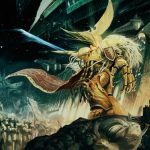 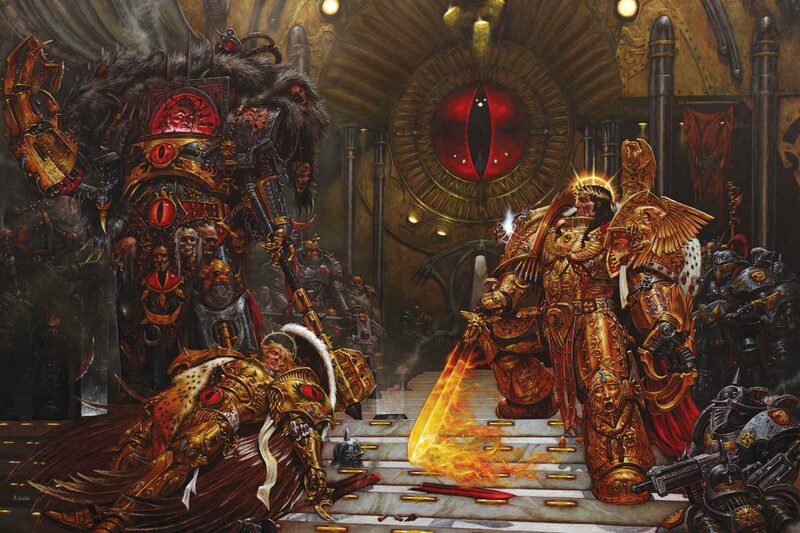 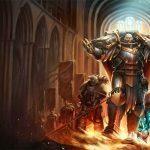 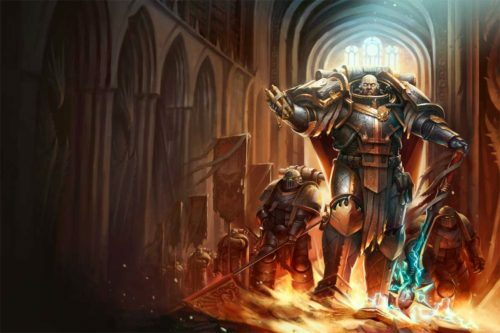 At their feet lies Sanguinius, Primarch of the Blood Angels Legion. 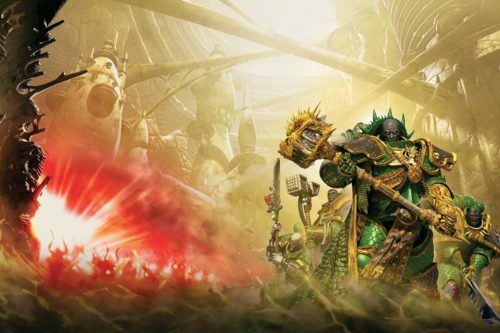 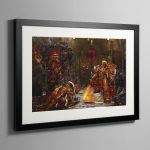 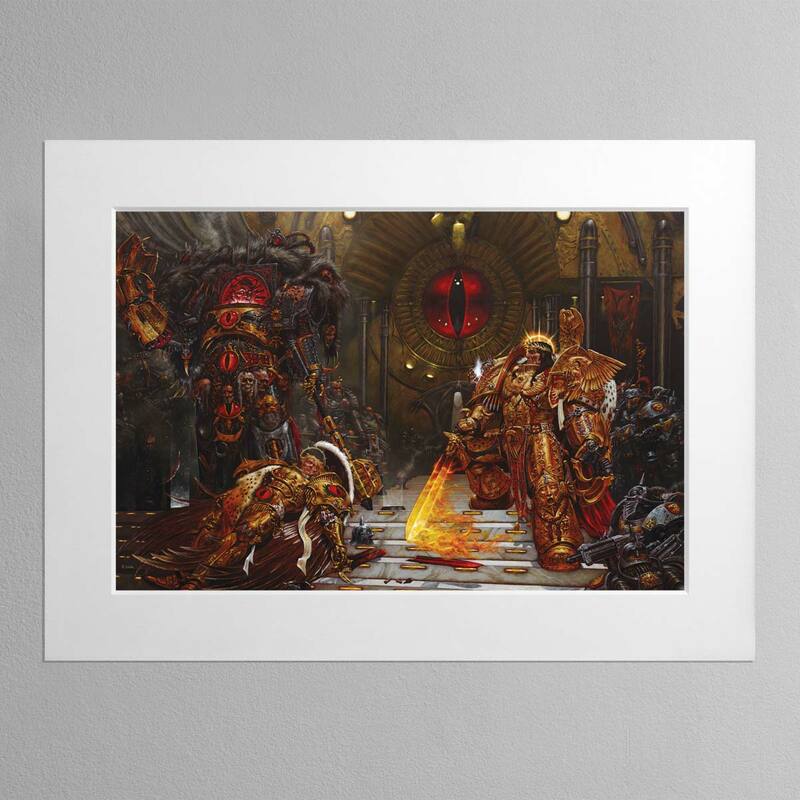 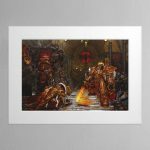 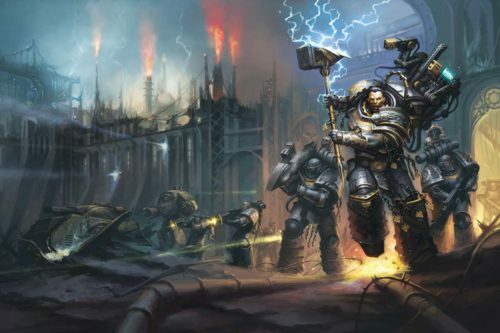 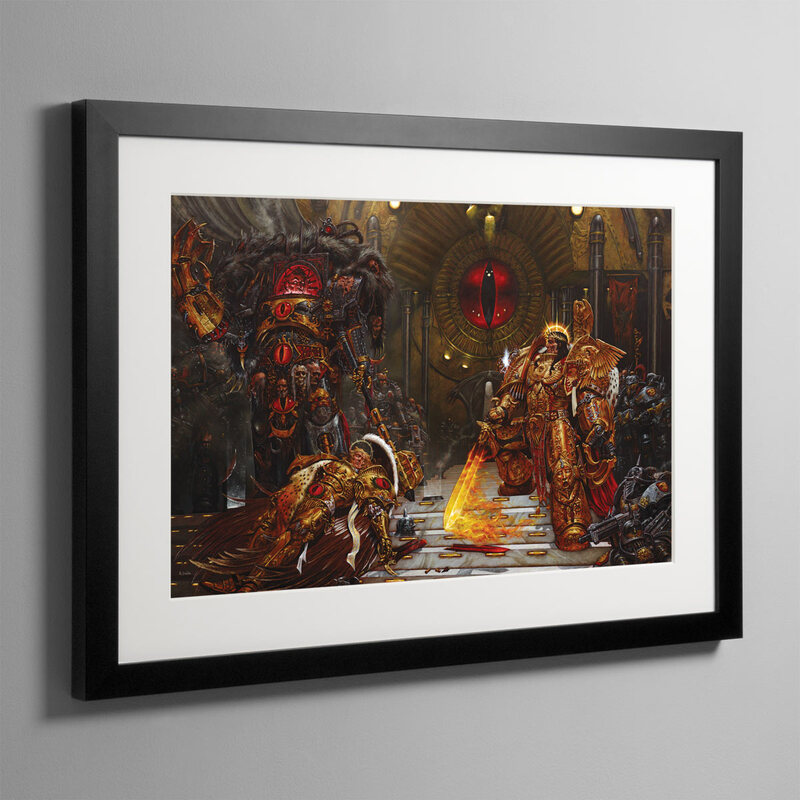 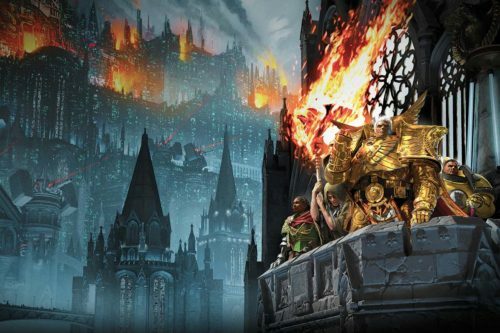 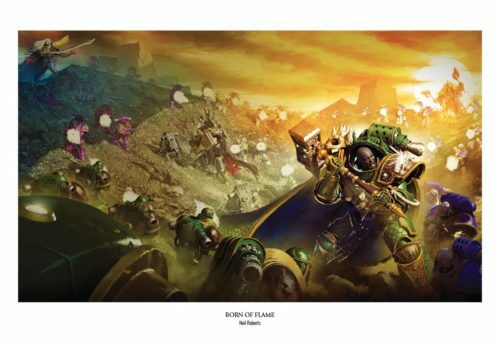 This colour painting was Adrian Smith's second illustration of this key scene from the history of Warhammer 40,000.